Because any shoes that require "breaking in" really just deserve a break up. 1. 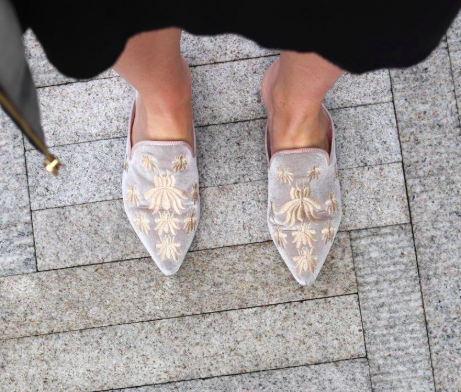 Velvet embroidered mules, because you'll never want to give these the *slip*. You might even wear these to bed. No judgement. Get them from Amazon for $29.98+ (available in sizes 4-15 and in 16 styles). 2. Leather block-heeled boots that'll kick off the new season right. You'll actually be able to stand taking fall Instas. Get them from Free People for $198 (available in sizes 36-41 and in six colors). 3. Faux leather lace-up oxfords with just the right amount of heel for looking dressed up without having to call it an early night. Unless you just want to go home. Get them from Amazon for $23.99+ (available in sizes 4.5-10.5 and in three colors). 4. Dr. Scholl's heeled Chelsea booties so your wardrobe can reach new heights without sacrificing comfort. You deserve to show these off ALL. DAY. Get them from DSW for $69.99 (list price $128; available in sizes 6-11 and in two colors). 5. 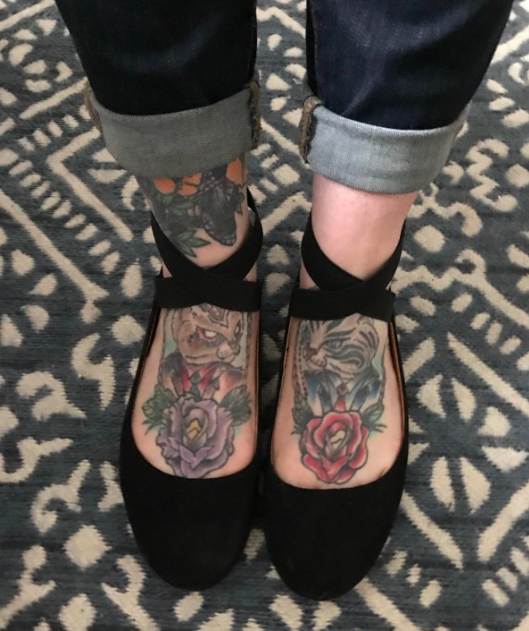 Pointed faux suede flats, because working your ~angles~ requires you to actually want to stay on your feet. And now you can to your heart's content. Get them from Amazon for $9.49+ (available in sizes 6-11 and in 21 styles). 6. Mesh fashion sneakers that'll make you almost want to be sporty. You have the option — but you're more than welcome to just wear these on your way to the closest bakery. Get them from Amazon for $11.99+ (available in sizes 5-11 and in 18 colors). 7. 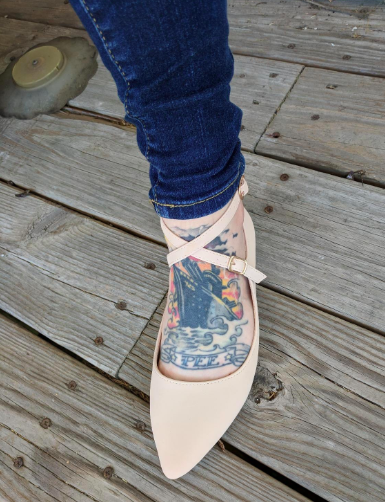 Classic ballerina flats for not only commuting in, but staying in all day if you despise heels. 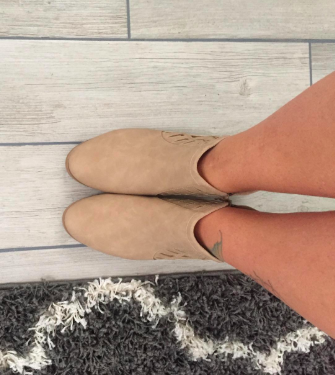 Faux suede + cute elastic straps = zero stilettos. They're even available in ~25~ colors and s-u-p-e-r cheap so you can collect 'em all for versatility! Check out why a BuzzFeeder lives by these! Get them from Amazon for $1.99+ (available in sizes 5.5-11 and in 23 colors). 8. 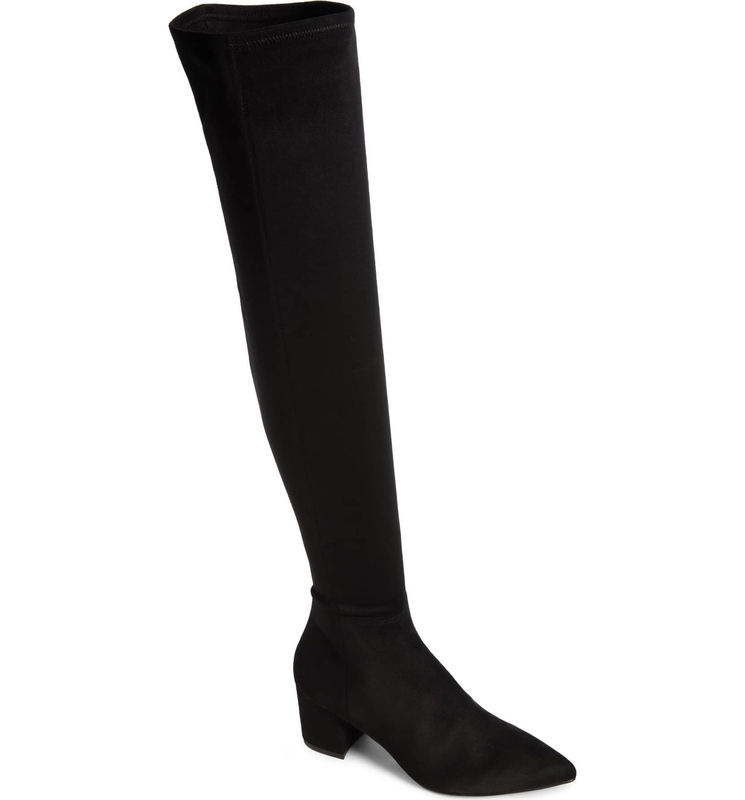 Steve Madden over-the-knee boots with stretch so you can depend on this timeless go-to for seasons to come. Did you just find yourself a new best friend? Yes. Psst! 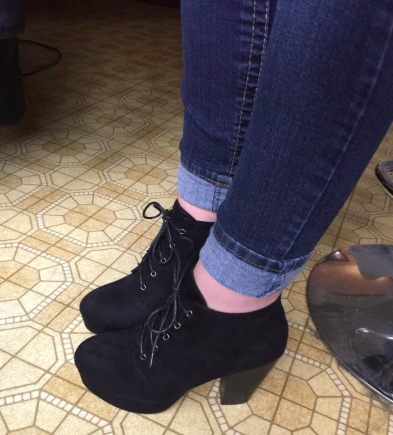 These are faux suede! 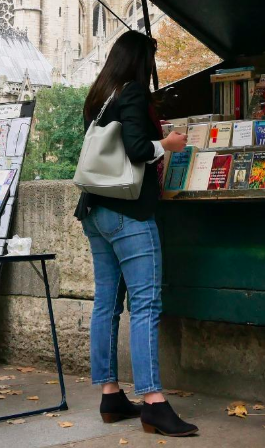 AND they have a contour-hugging shape to fit to your curves. Get them from Nordstrom for $129.95 (available in sizes 5-12 and in two colors). 9. 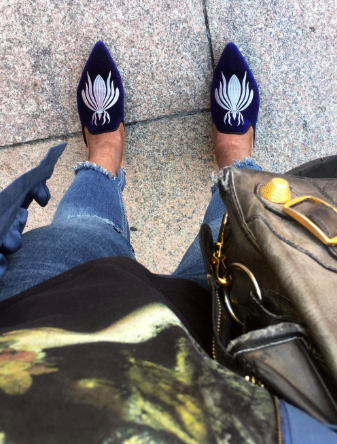 Sam Edelman espadrille slip-ons, because you're not leaving the house unless you feel like you're still in slippers. NOW you're ready to go. Get them from Amazon for $32.14+ (available in sizes 5-11 and in nine colors). 10. Platform oxfords that'll not only be reliably on-trend, but actually allow you to get fashion credit all darn day. No one puts baby in the corner...unless there's cake there. Get them from Amazon for $22.99+ (available in sizes 5-9 and in four colors). 11. 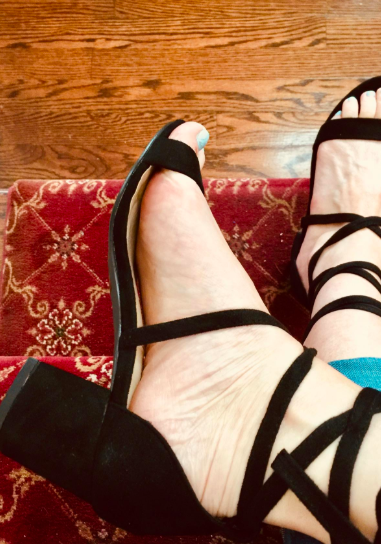 Lace-up mid-heeled sandals for finally finding an option you can wear out at night that doesn't want you to lay down on the dance floor. Get them from Amazon for $29.99+ (available in sizes 4.5-10 and in five colors). 12. Faux leather studded mules so you look edgy without actually *being* on edge. Happy days only ahead, my friend. Get them from Target for $24.99 (available in sizes 5-12). 13. Glittery fashion sneakers, because your sparkle should last 24/7. Shoes shouldn't be why you go home early. Netlflix is why. Get them from Amazon for $11.26+ (available in sizes 5-10 and in 16 styles). 14. 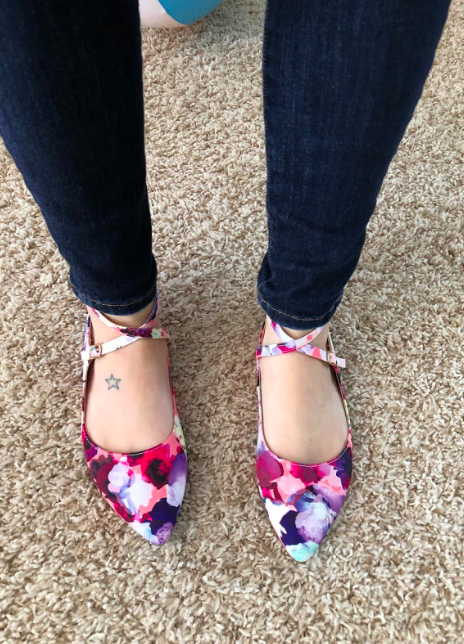 Strappy pointed flats in a wide array of colors and styles that'll give you all the choices you need to keep things fresh (but also keep your feet feeling fresh). Get them from Amazon for $15.99+ (available in sizes 5-11 and in 12 colors). 15. Faux leather buckled boots with elasticized back panels specifically designed for wide and extra-wide calves to keep warm this winter by posting fire Instas. Did I mention their ~extra-padded~ footbeds? Today is a good day. Get them from Torrid for $52.42 (originally $69.90; available in sizes 7-13, in wide and extra-wide calf, and also in black). 16. 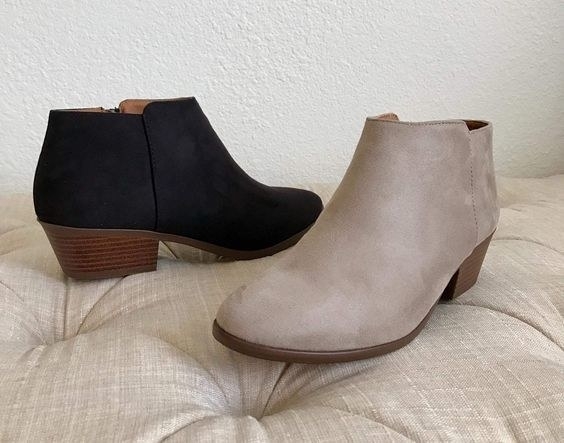 Heeled ankle booties so you can depend on a stylish and practical look you'll never want to *cut out*. I believe you just found your sole mates. Get them from Amazon for $18.86+ (available in sizes 5.5-10 and in 12 colors). 17. Minnetonka suede moccasins, because these will make a smooth transition into colder weather. Plus, you'll find yourself wearing these whether your in or out of your house. Get them from Amazon for $29.90+ (available in sizes 5-10, medium and wide widths, and 27 colors). 18. 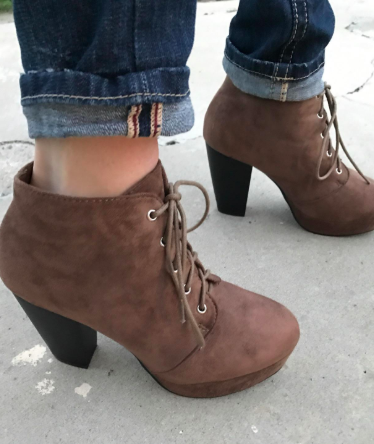 Suede ankle boots that'll quite literally help you put your best foot forward (and actually feel that way). Get them from Urban Outfitters for $59 (originally $79; available in sizes 6-10 and in two colors). 19. Lightweight mesh fashion sneakers for proving there is no better trend that athleisure. 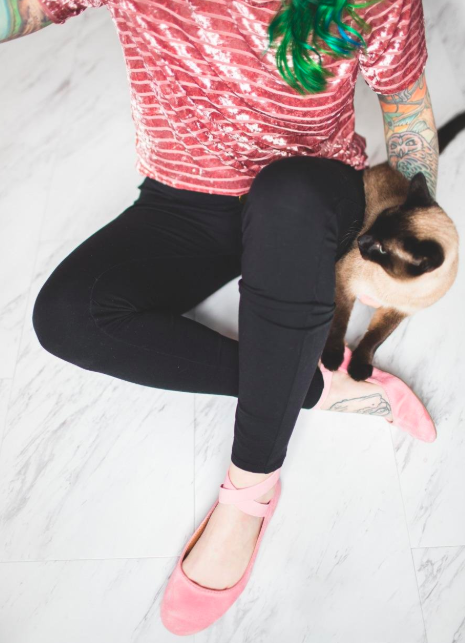 Comfort + style = I am never swaying from this look. EVER. Get them from Amazon for $9.99+ (available in sizes 6-12 and in 13 colors). 20. Braided leather flats so you can ~cross over~ to what truly is the greener side: practical and on-trend. Apparently we can have it all. Get them from Free People for $178 (available in sizes 36-41 and in six colors). 21. Bogs waterproof insulated rain boots, because your shoes never dampen your day (and now neither will bad weather). Ankle rain boots = still a fashionable outfit. Get them from Amazon for $70.97+ (available in sizes 6-11 and in two styles). 22. T-strap heels with tear-drop cutouts that'll never actually induce crying. If you do, it's because you're so happy to have finally found The One. Get them from ModCloth for $45 (available in sizes 5-13W, in wide, and in five colors). 23. Chunky lace-up ankle boots for stomping out the notion of choosing either comfort or style. People, you can have BOTH. Stop picking! Get them from Amazon for $12.96+ (available in sizes 5-10 and in 14 colors). 24. 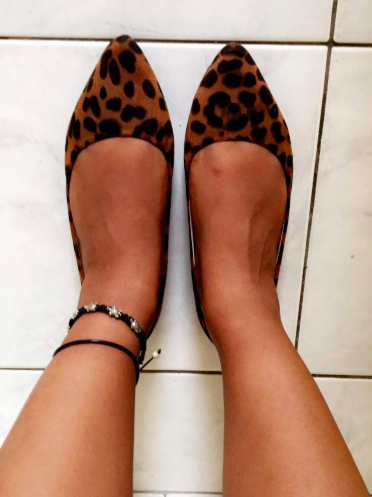 Tory Burch leather flats with elastic backs so you can rest assured these investment pieces will be money well spent. Tl;dr: you will wear the crap out of these. These babies have almost 975 positive reviews!!! 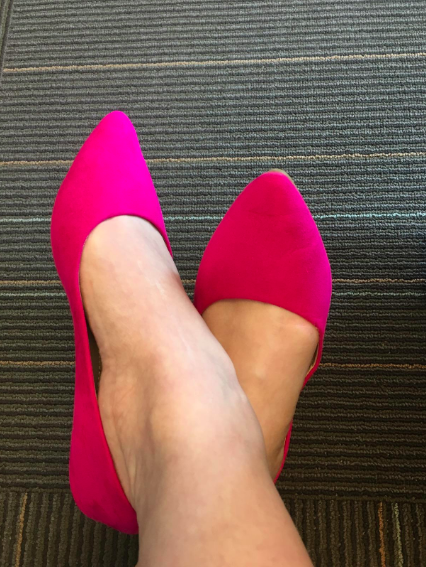 I-m-p-r-e-s-s-i-v-e.
Get them from Nordstrom for $228 (available in sizes 4-13 and in 11 colors). 25. Decorated canvas sneakers, because these will become your ride-or-die the moment you put them on. It's you two against the world now. They're never leaving, I promise. Get them from Amazon for $12.99+ (available in sizes 5-11 and in seven styles). 26. Clog-inspired platforms with wooden heels that'll serve as a dream come true when you need to be out all day, but want to look GOOD. Prayers = answered. Get them from Amazon for $54.95+ (available in sizes 6-10 and in seven colors). 27. 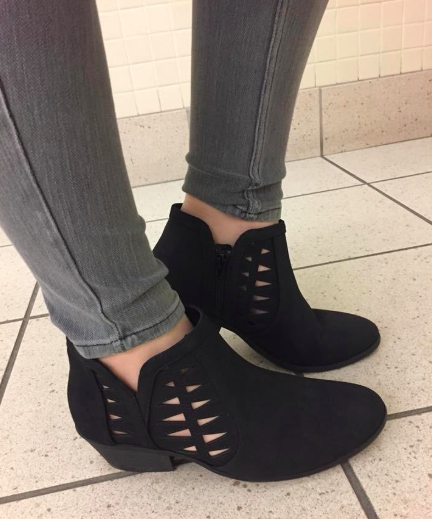 Low-heeled ankle booties for feeling like you're walking on cloud nine no matter how the rest of your day goes. Get them from Amazon for $15.45+ (available in sizes 5.5-11 and in 27 colors).